If you use the document picker on iOS to select files from iCloud Drive — depending on the circumstances — it takes a while for the files to show up. Be patient and keep the document picker open for a while and make sure the device doesn’t auto-lock itself. After a while the items should be displayed and you can select and open them. 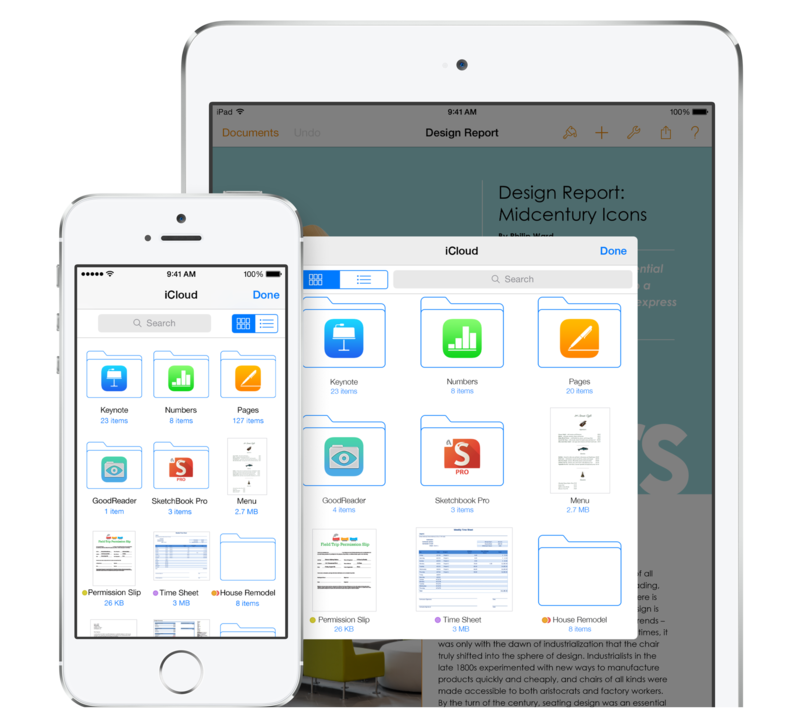 If you copied or moved files recently to iCloud Drive or moved them within iCloud Drive, then it might take a little longer for the changes to be visible and the files to be selectable. iCloud Drive was released some months ago. It definitely should work flawlessly by now. I experience the above problems on a newly created iTunes/iCloud account, which was only used with iOS 8 and OS X Yosemite. In my opinion these problems are a serious reliability issue Apple has to address very soon. Otherwise iCloud will get a bad reputation and only a few people will dare to rely on it. Who wants to use cloud storage if you cannot access your files? Without a properly working iCloud Google’s ecosystem is becoming a much more attractive choice.